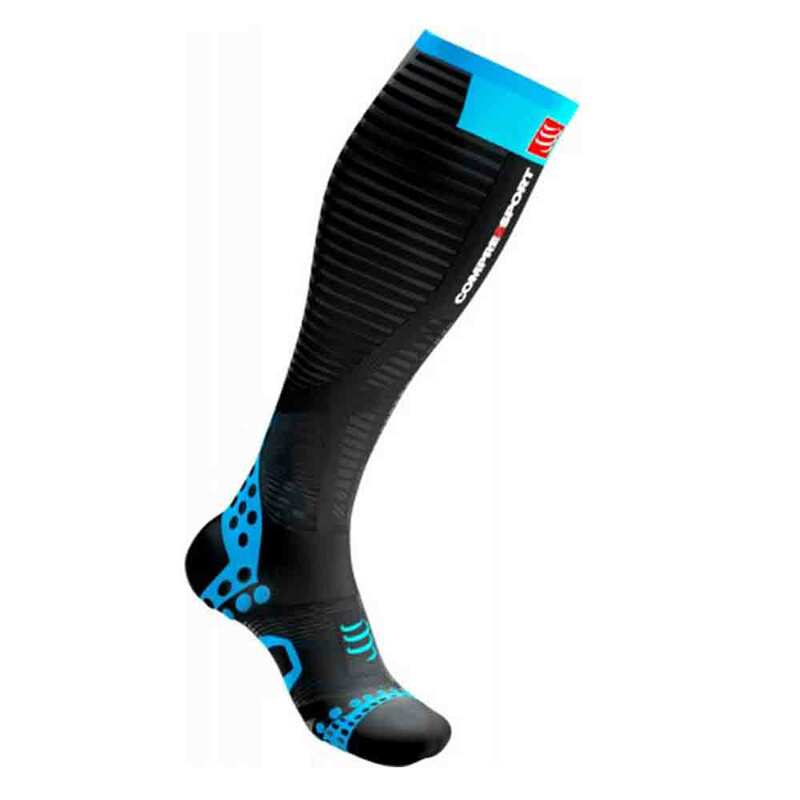 In a single pair of full ultra-light socks, COMPRESSPORT® concentrates the technologies mastered in both the Pro Racing Socks Ultra-light and the Full Socks to give a foot gear that suits long distance racers: trail runners, triathletes, cyclists. - Nothing better than feet that breathe in the shoes and feel light! The ultra-fine mesh used here guarantees optimal ventilation and extreme lightness. - Eight 3D-dots that acupressure on eight micro areas of your feet, will stimulate blood circulation. - The 3D.Dots protect the Achilles tendon and the malleolus area. Shocks are easily absorbed, limiting muscle pulling. 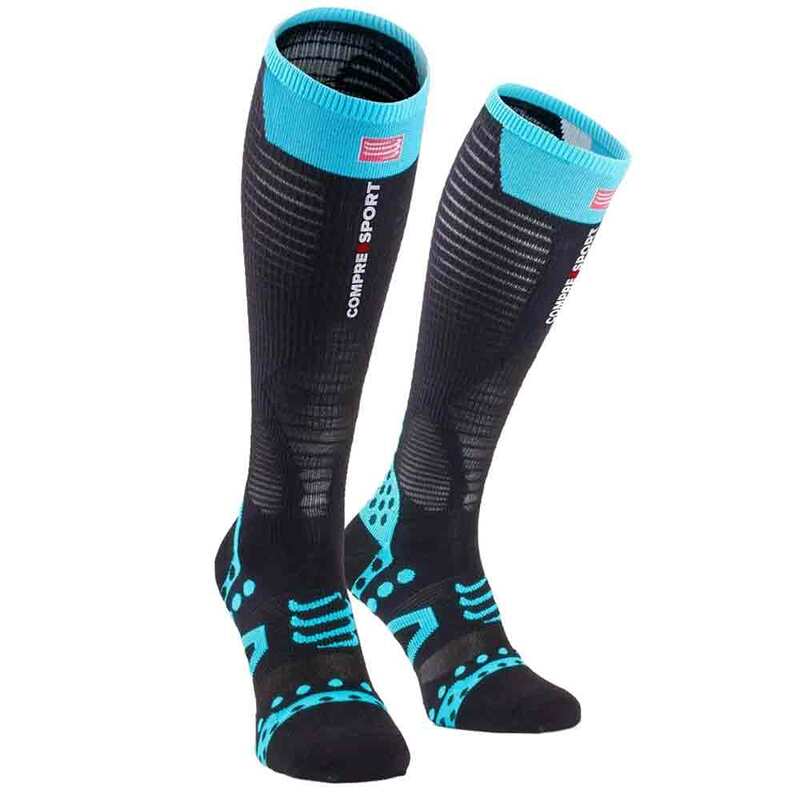 - In these ultra-light full socks, muscle fatigue is delayed. Recovery after effort is thus reached faster. 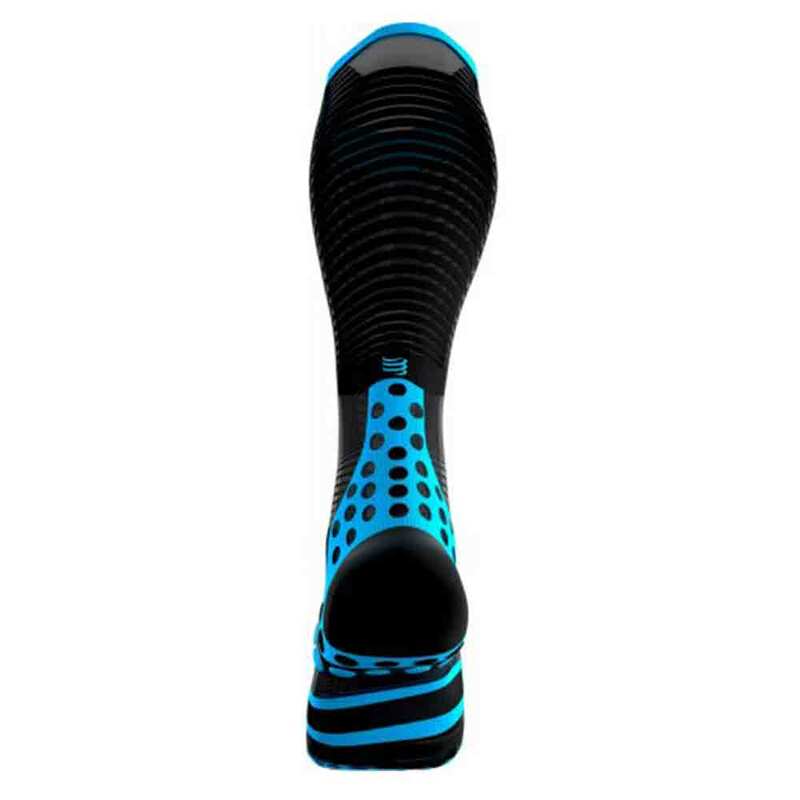 - Maximum grip is guaranteed due to the 3D.Dots acupunctured-technology. You won`t slip during effort and blood circulation is stimulated. - These socks do not retain water and wick out moisture. - The socks being positioned around the arch of the foot, compression stimulates venous return, strengthens stride posture and limits curvatures. - The toe piece fits ergonomically; your toes are neither smothered nor compressed during effort. - Its seamless and elastic-less upper layer does not pressurise your leg.